Our clients HPI have recently completed a strengthening of the management team and Forsyth Group are proud to have assisted the company in placing Madhur Srivistar as consumer director with the company. They are joined by Dominique Horton, who takes the role of chief financial officer, and new head of industry relations, Barry Shorto. Evans has previously held a number of senior positions, including director of business development and European sales manager for Avis Rent-a-Car, head of developments at the AA, and director of sales North America for Europcar. E-commerce expert Srivastava joins HPI after founding pay-to-bid auction site, Madbid in 2008. In his role as operations director, Madhur oversaw the growth of Madbid which achieved a turnover of £10-12 million within three years. In addition to five years in specialist claims management, Horton worked in manufacturing, distribution and utilities industries. Shorto, who has been with HPI for more than nine years, will be responsible for developing relationships with influencers across the motor, finance and insurance industries as well as with key government representatives. Peter Thiel has some interesting ideas on education and micro countries , but Valar Ventures is his best yet. 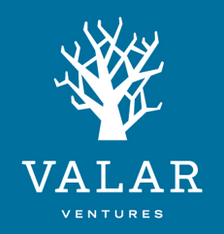 Valar Ventures is an internationally-focused venture capital firm backed by Peter Thiel. Based in San Francisco, Valar invests exclusively in companies outside of the United States. Valar believes that over the next decade an increasing number of transformative technology companies will be started outside of the US, and that the founders of those companies will benefit from having a US partner that understands their unique challenges and opportunities and can help them access US networks. Valar Ventures’ recent investment in Transferwise, which we wrote about earlier this week bit.ly/YTsBtg , is a great fit for Valar and Peter who is a member of the PayPal mafia. This is a great addition to the UK/EU funding ecosystem and a smart move considering how many companies on this side of the pond want access or relocate to the US market. Here’s some encouraging news for the European startup scene, and London in particular.TransferWise, the online currency exchange that uses the crowd to undercut traditional money transfer services, has announced that it’s closed a $6 million series A round led by Peter Thiel’s Valar Ventures — the first investment in Europe by the PayPal co-founder and early Facebook investor’s international fund. We also understand that Ron Conway’s SV Angel has joined this round, along with a small number of angels, and TransferWise’s existing backers IA Ventures, Index, Seedcamp, and TAG. This brings the total raised by the company to $7.35 million since its launch just two years ago. Originally billing itself as the “Skype of money transfer,” TransferWise enables individuals and businesses to send money between countries for a fraction of the price that banks and others charge, using a peer-to-peer, “crowdsourced” model — where money destined for transfer doesn’t unnecessarily actually leave each country. It passes on these saving by charging a small flat fee per transfer. The company also pitches itself as the preferred method of money transfer for European startups, recently garnering some decent PR with an offer to waive the fees for a total of $100 million worth of international money transfers for qualifying startups using the TransferWise platform. Interestingly, Thiel was one of a host of names publicly endorsing the campaign, so we probably should have known something was going down. Hinrikus tell me that the new funding will enable TransferWise to continue expanding, both in terms of the number of currencies it plans to support, and in raw head-count. It started out offering British Pound and Euro transfers, and has since added support for the U.S. Dollar, Swiss Franc, Polish Zloty, and Danish, Swedish and Norwegian Krone. In total, the company claims to have transferred over £125m worth of customers’ money, saving £5 million-plus in banking fees (though it isn’t without competition). Meanwhile, the team has grown to 33 members of staff. “There’s another dozen currencies to be launched this year and 20 more people needed in the team,” says Hinrikus. “Also we need to launch locally in key European markets – Germany, France and Spain.” Hinrikus says TransferWise continues to grow between 20-30 percent a month, which to date equals roughly 10x year-on-year growth. “Doing what’s in the pipeline puts us on track to do another 5-10x this year,” he says. Staying on message, London-based TransferWise (with an office also in Tallinn, Estonia) is now calling itself a Tech City startup. Tech City, headed up by Joanna Shields, ex-Google, AOL/Bebo, and most recently Facebook’s head of EMEA operations, is the UK government’s re-branding of the London tech scene and, specifically, East London’s “Silicon Roundabout” area. That said, TransferWise’s HQ is on Shoreditch High Street, which doesn’t get any more Silicon Roundabout than that. And certainly, a $6 million series A is no mean feat for a European startup, and nor is attracting a top tier Silicon Valley investor like Peter Thiel. Congratulations to our client 23snaps with their first mover advantage. 23snaps, one of a number of mobile apps that target parents who want to share photos, videos and updates of their children within a private social network, has flicked the monetization switch today. It’s launched an on-demand printing feature within the app to let users turn their uploaded photos into a physical printed product — both photo books and individual prints. Available for both iOS and Android, as well as a web-based version, we’ve previously described 23snaps as like a Facebook for families, even down to its look and feel. You begin by setting up profiles of your children in the app and optionally adding your partner, who can also have posting privileges, as well as any other friends or family members you want to privately share content with. You can then upload photos, enter height and weight measurements at various stage of your child’s development, and add status updates to record those special moments, which will be enjoyed by close family and friends but might otherwise be considered as over sharing within an uber-social network like Facebook. This content then shows up in your news feed and the news feed of those who you have chosen to share with. In addition, those friends and family members receive real time mobile or email notifications when you add a new update. To that end, 23snaps says that photo and video uploads have an engagement rate of 90% (meaning that on average, 90% of a user’s connections will in some way engage with every piece of content they post), which it claims compares to Facebook’s 10% engagement on an individual’s posts. In addition, the average open rate of 23snaps email updates is said to be 70%, while the startup has passed 1 million items shared since launch. More details on how the new printing feature works: Users tap the print button and choose to print individual pictures or a photo book comprised of selected pictures, specific collections or favourites. They then choose to have their photos and albums sent to themselves or directly to friends and family. The “high quality” photo book (worldwide) starts at a minimum of 24 photos for £15 and prints (U.S. and UK-only) start at £6 for 20 photos. Based in London, 23snaps was founded in January 2012 by Ivailo Jordanov and Yury Tereschenko. Jordanov was previously Head of Product at Espotting, a search service acquired by Findwhat in 2004. He also co-founded Zoomf.com, later acquired by UK newspaper Trinity Mirror. In 2009, he joined financial company Avans.bg in Bulgaria, where he still serves as advisor and board member. Tereschenko and Jordanov also both later co-founded the UK shopping company Styloko. The Quora comment below, which was a response to the question ‘What’s the worst part about working at Google’ http://b.qr.ae/10n4azK, shows an interesting perspective on what it’s like to be a superstar, working alongside other superstars. Could working amongst geniuses in such a big company actually be a hindrance? If employees aren’t stretched intellectually by their work, but are incentivised financially to stay, does this create a negative working environment? ‘The worst part of working at Google, for many people, is that they’re overqualified for their job. Google has a very high hiring bar due to the strength of the brand name, the pay & perks, and the very positive work culture. As a result, they have their pick of bright candidates, even for the most low-level roles. There are students from top 10 colleges who are providing tech support for Google’s ads products, or manually taking down flagged content from YouTube, or writing basic code to A|B test the color of a button on a site. · It’s hard to get promoted quickly, since the person above you as well as at your level both have great educations and strong work ethics. When it’s standard to be awesome, and the work isn’t particularly tough to begin with, it’s hard to differentiate. · The work may not be intellectually rewarding (read: boring). It can be tough to feel a sense of accomplishment about what you do, and that sense is actually quite important to the type of people who are ambitious enough to get over the Google hiring bar. · Some people end up losing their drive by working at Google. They get accustomed to not trying their hardest, but still having an awesome day-to-day life. Some caveats: Many Googlers are clearly among the brightest in the world in their field, and they’re able to run full stride in their work. If you take your career into your own hands, you can find a role that challenges and stretches you as much as any other job in the world.